28.16 is a low-voltage arrangement of 16 blown-glass spheres. Each sphere contains an interior landscape of satellite shapes, including an opaque milk glass diffuser that houses either a 20-watt xenon or 1.5-watt LED lamp. 28.16 uses headphone jack connections, which allow the pendants to be “plugged into” the canopy for fast and easy installation. Pendant lengths are pre-set during production and are not site adjustable. There are two standard canopy options. Both options have a white, powder-coated finish. 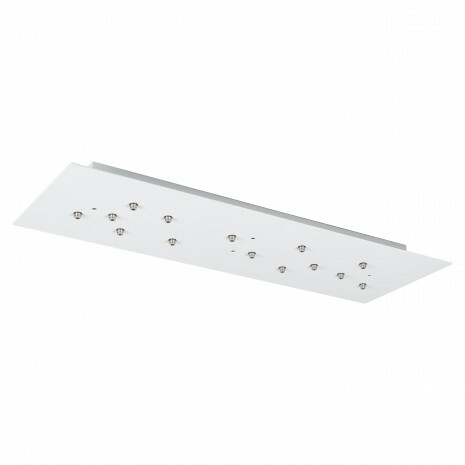 Rectangular canopies are 43" / 1,100 mm long, 14.5" / 370 mm wide, and 2" / 53 mm deep. 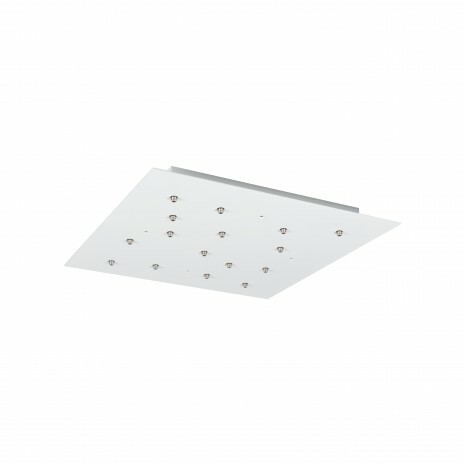 Square canopies are 23.5" / 600 mm long, 23.5" / 600 mm wide, and 2" / 53 mm deep.